Surprise the mother-to-be at your next baby shower with this super fun take on the traditional diaper cake! 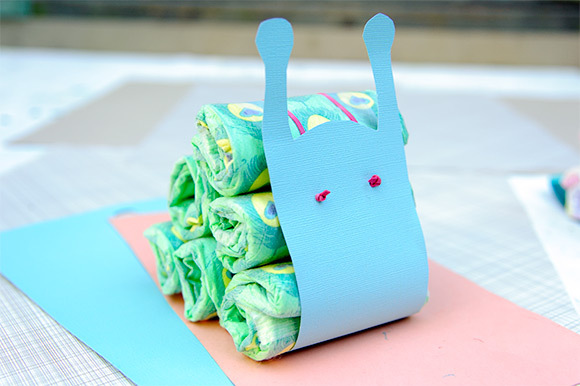 These friendly little snails are not only adorable, they carry a pack of baby’s first diapers. Just what every new mom needs! The snails are a snap to to make using the free printable provided below. All you need are a few colorful sheets of paper, a thumbtack, rubber bands, and a stack of diapers. We chose eco-friendly diapers from The Honest Company—besides the fact that they are all natural and non-toxic, the fun patterns make the perfect finishing touch for an unforgettable baby shower gift. 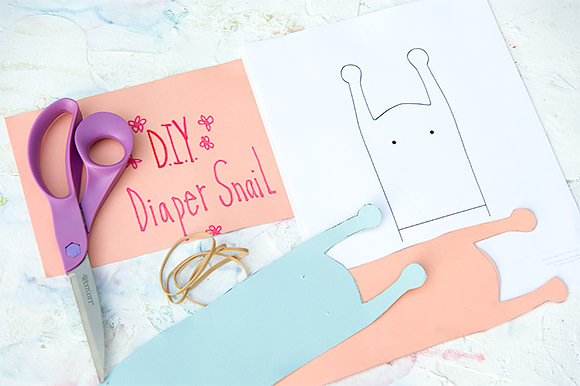 Print and cut out the Diaper Snail Template. 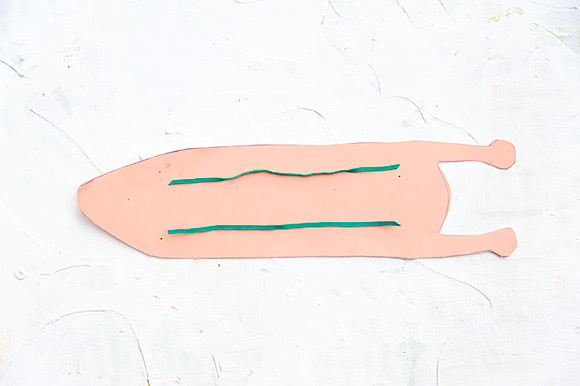 Tape the two ends of the template together and trace onto a sturdy piece of card stock in the color of your choice. Using your paper awl or thumbtack, poke a small hole into each dot on the snail body. If needed, use the head of a dull pencil to increase the size of the hole so that your rubber band will fit through. Cut a rubber band so that it’s one long piece. Feed the rubber band through to the front of the snail’s face and tie it off in a knot to create the eyes. Repeat with another rubber band on the other side of the snail body. 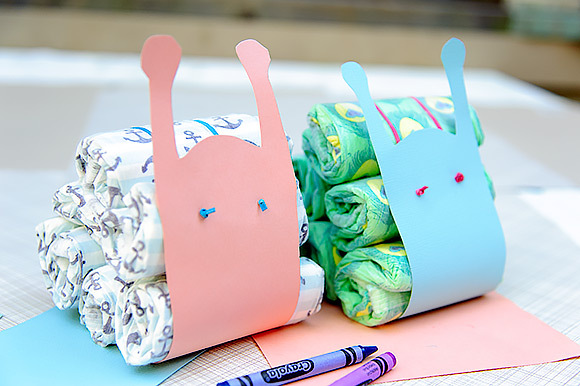 Now roll up five or six diapers and stack them on top of the snail body to see how loose/tight you’ll need your rubber bands to be in order to hold the diapers in place. Feed the rubber bands through the holes on the tail and tie each side in a knot towards the outside of the body. All done! This post is sponsored by The Honest Company. 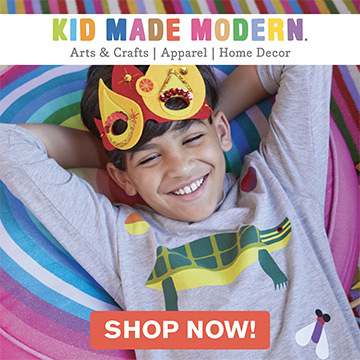 Find the diapers and other natural products for babies, family, and the home online at honest.com. Sign up for the free trial kit (plus shipping & handling) to see the difference for yourself! Handmade Charlotte readers can enjoy 40% off their first bundle using the code HCBundle. 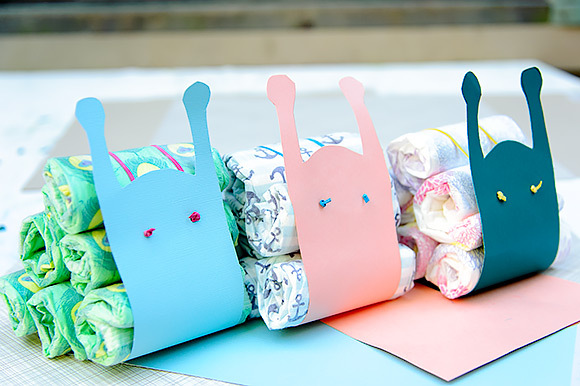 Limited to U.S. and Canadian residents (one per customer), applies to the first bundle order only, and expires October 6, 2013.
the diaper snail RULES! totally cute and funny. What a very nice idea! I found your website and I like it. I’m going to follow you at Bloglovin. These snails are so adorable!